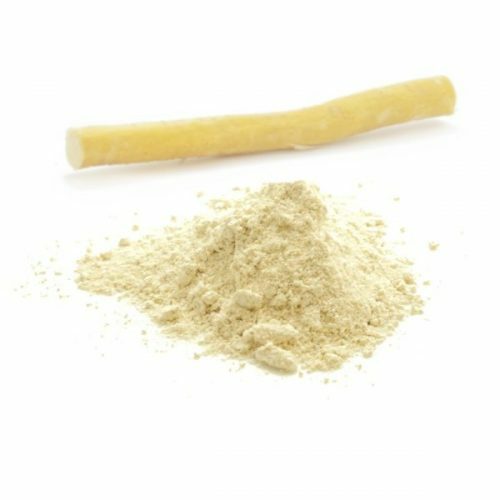 Pure miswak powder – nothing else added. The natural, oral health promoting ingredients from miswak wood are dissolved and removed by some applications. The SWAK toothbrush can then be refreshed with the miswak powder! If necessary, then the moistened head of the SWAK toothbrush can be dabbed into the tooth salt so that the valuable ingredients from miswak wood are available again. The miswak powder may also be regarded as toothpaste concentrate. (Conventional toothpaste consists of approximately 80% water and glycerol, often abrasives made of plastic are included too). Choose the amount and packaging material to your wish.